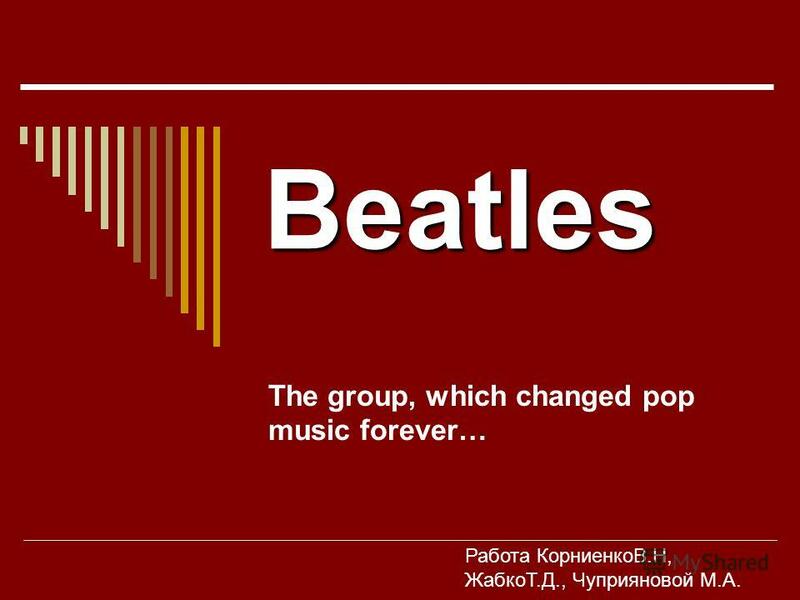 Презентация на тему: "Beatles The group, which changed pop music forever… Работа КорниенкоВ.Н, ЖабкоТ.Д., Чуприяновой М.А.". Скачать бесплатно и без регистрации. 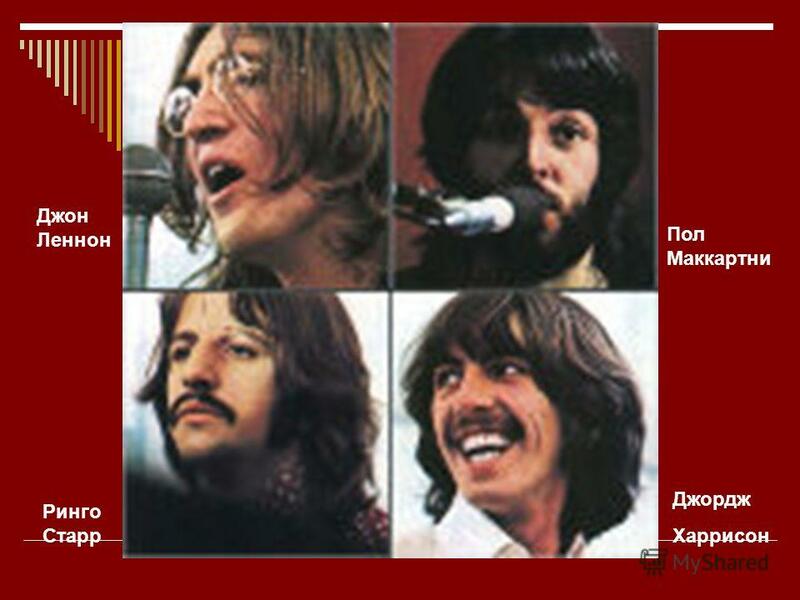 1 Beatles The group, which changed pop music forever… Работа КорниенкоВ.Н, ЖабкоТ.Д., Чуприяновой М.А. 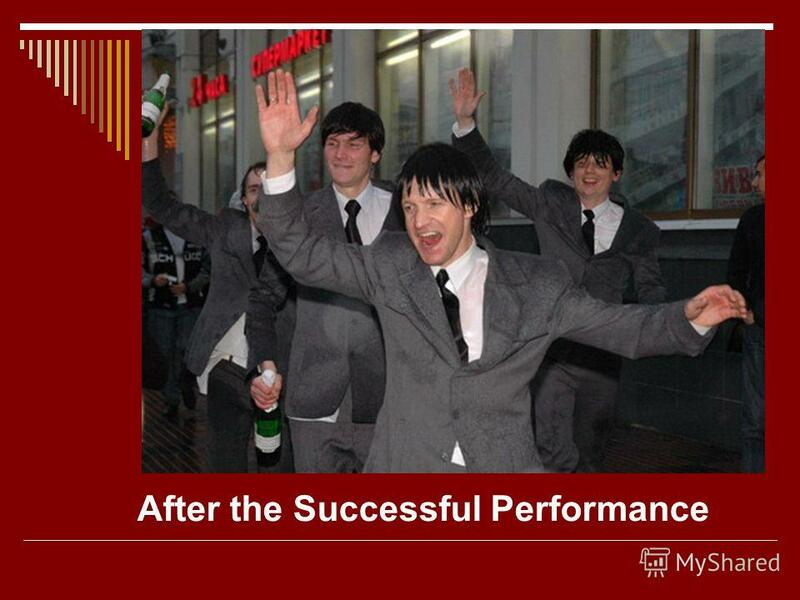 6 The road to success was not easy. 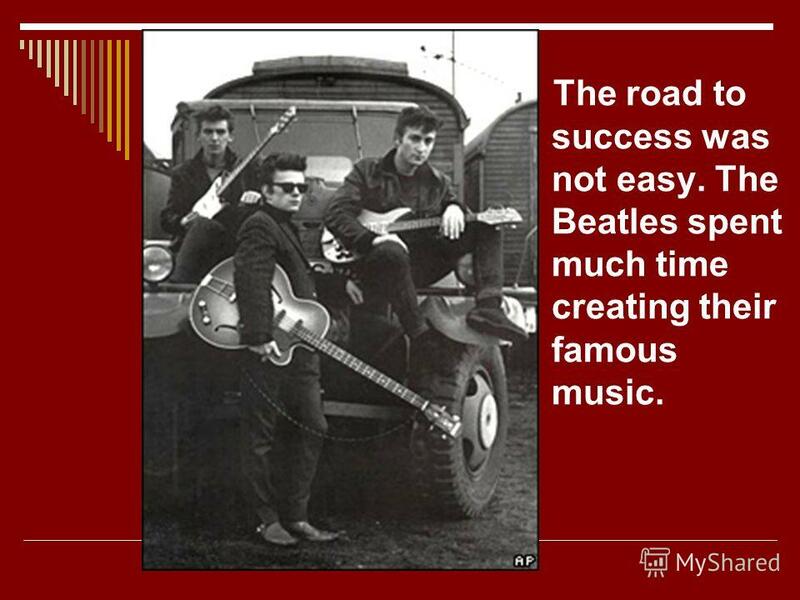 The Beatles spent much time creating their famous music. 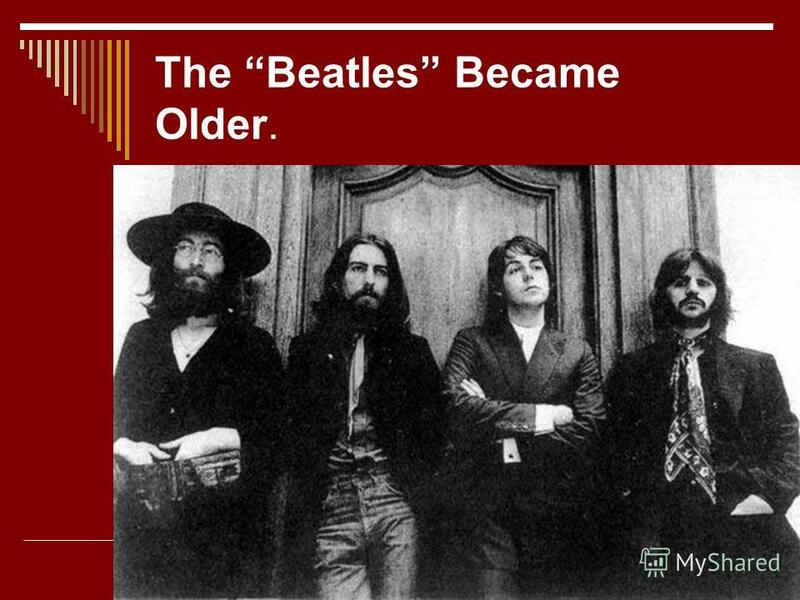 7 The Beatles Became Older. 8 Now they are three. 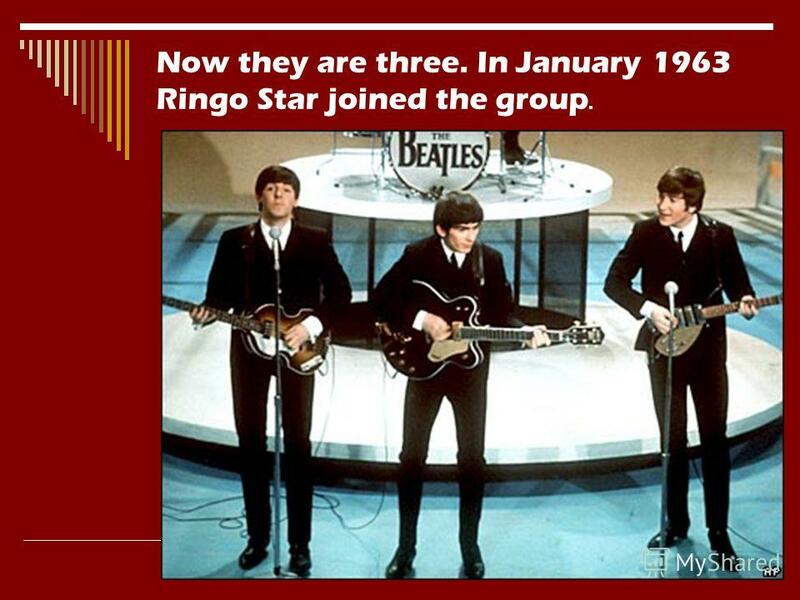 In January 1963 Ringo Star joined the group. 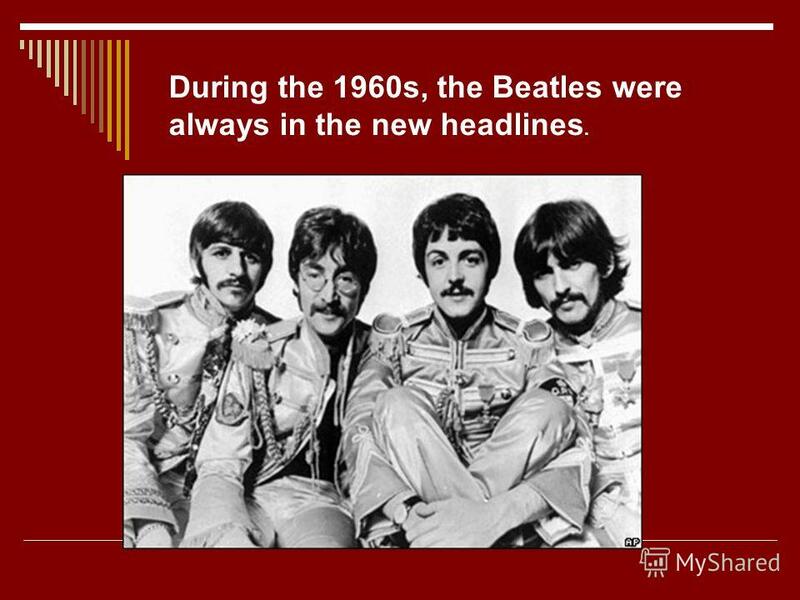 9 During the 1960s, the Beatles were always in the new headlines. 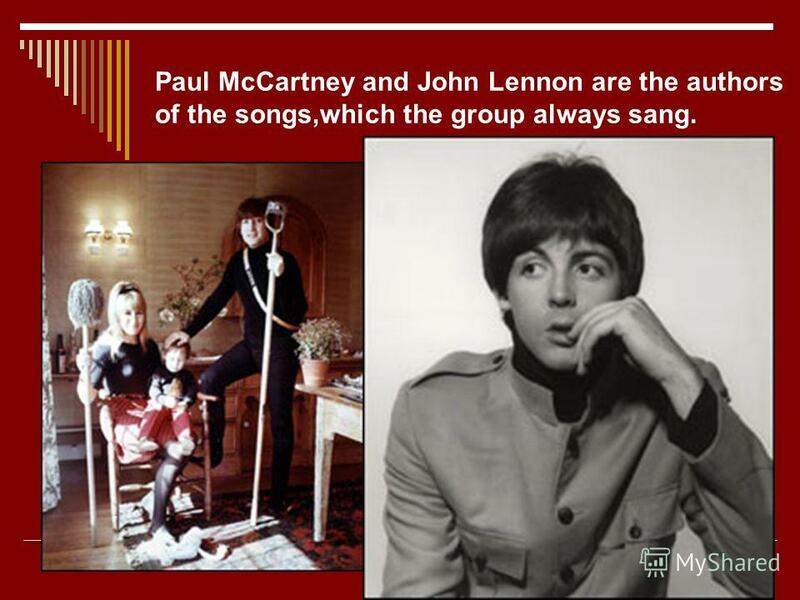 10 Paul McCartney and John Lennon are the authors of the songs,which the group always sang. 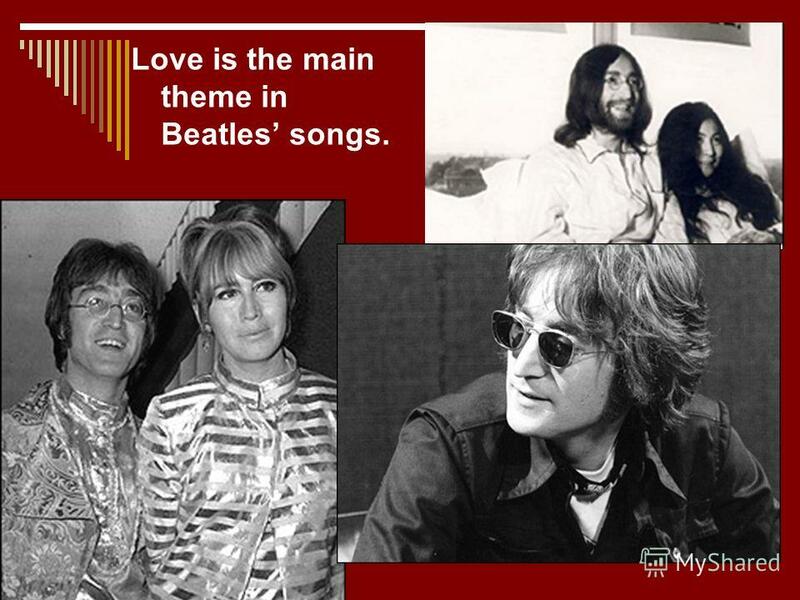 11 Love is the main theme in Beatles songs. 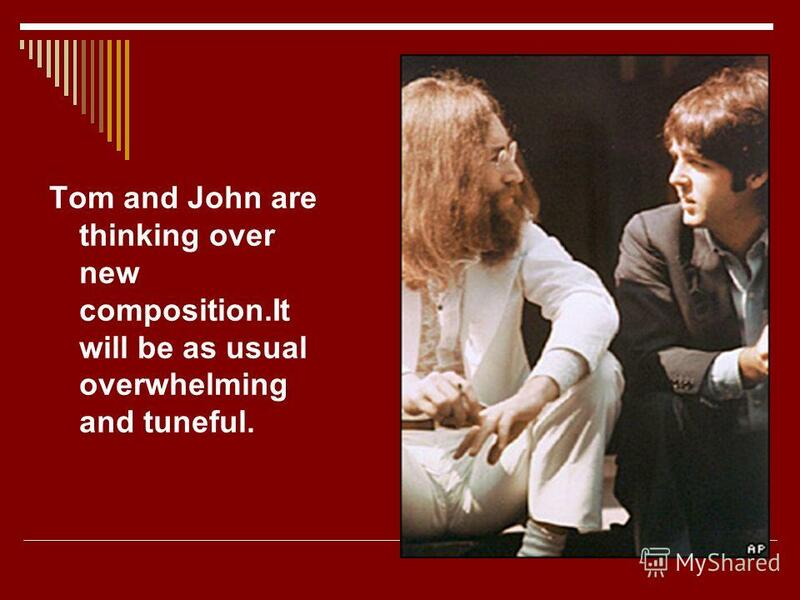 12 Tom and John are thinking over new composition.It will be as usual overwhelming and tuneful. The Beatles were the most famous pop and rock group of the 1960s. Their music was popular not only in Britain, but all over the world. 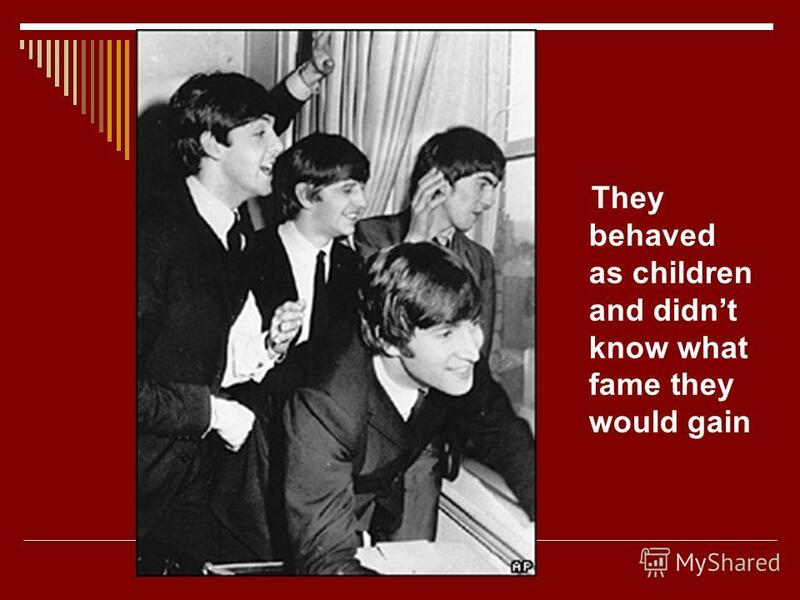 The Beatles were the most famous pop and rock group of the a thousand nine hundred sixtieth years. Their music was popular not only in Britain, but all. The Beatles Who are they? Who are they? Questions 1. What is the name of this group? 1. What is the name of this group? 2. When and where did this group. The one of Britains most influential pop groups, first performing in 1959 in Liverpool. Paul McCartney. The famous poet,writer and musician. В них говорит эпоха, в которой рабочие парни из Ливерпуля стали мифом целого поколения молодежи. МОУ «Береговская СОШ» учитель иностранного языка Жирнова Наталья Леонидовна презентация по теме Living in a global village для 11 класса по УМК Биболетовой. THE BEATLES ©Баркова И.М. учитель анг яз. ГОУ 598 2007г The split. How do we call the style of painting in geometric shapes and who are its representatives. Made by Vasiljeva Ksenia Form 8B Ozyorsk School. Sir Arthur Ignatius Conan Doyle; May 22 1859, - Scottish and English doctor and writer. Are most known. The Beatles forever Pupil : Gavrilov Dima 6 «В» form Teacher: Stepanova L.M. 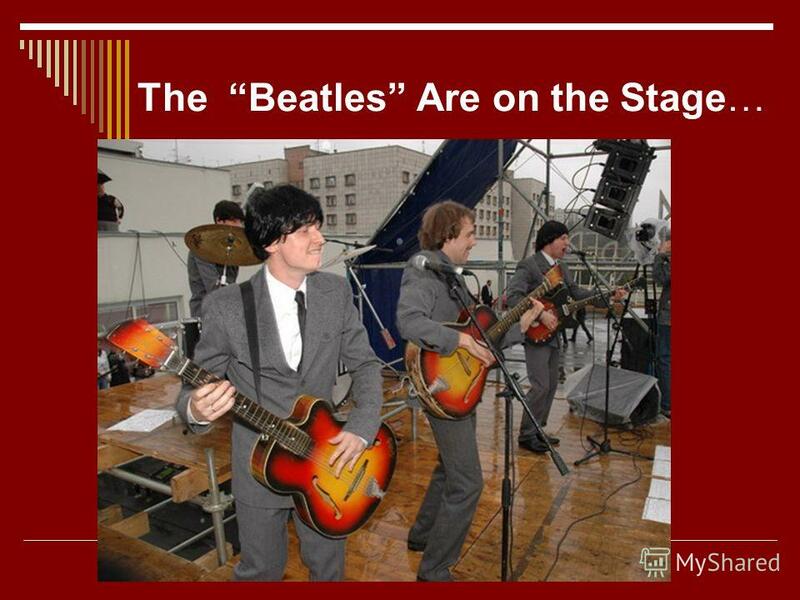 A Start Of Career Concert on the roof of Apple Records was the last concert of The Beatels. It was on the 30 th of January 1969. ADAM LAMBERT By Olha Ostroverkh, form 11-B. Adam Mitchel Lambert (born January 29, 1982) is an American singer-songwriter and stage actor. Born in Indianapolis.